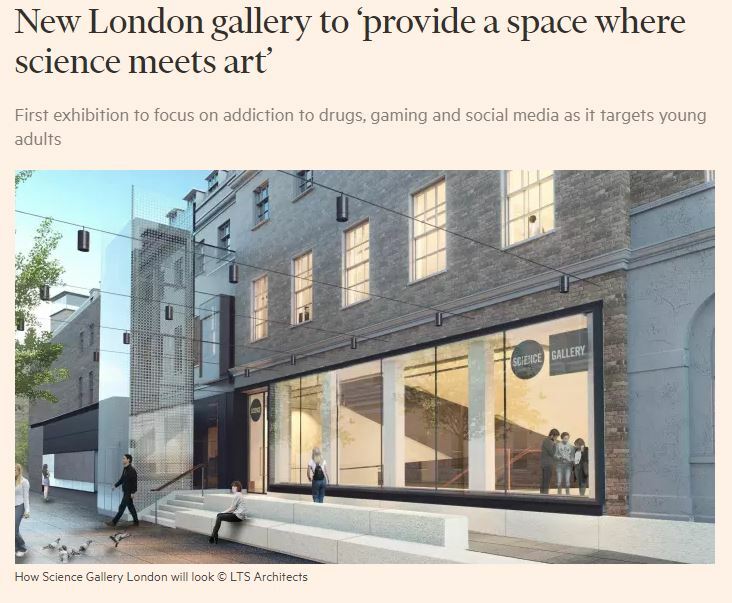 Clive Cookson, Science Editor spoke to the gallery’s director, neuroscientist, Daniel Glaser about the aims of the gallery and it’s plans for the coming year. Dr Glaser states in the piece that the project targets ‘those who wouldn’t otherwise dream of entering a university building’. This approach marks a distinct shift in the strategy of academic institutions and one that LTS is excited to be championing. Our design approach ensures complete flexibility within the gallery, spaces are light and open, they can be lit, closed off or opened up at the whim of a curator; in this sense, the galleries can change their aspect completely from one exhibition to the next. The gallery has no permanent collection and will instead host three seasonal shows each year. The first, called Hooked, will focus on addiction — not only to drugs but to gaming, smartphones and social media.